Home break point serving tennis How do players approach break points on their own serve? How do players approach break points on their own serve? Tennis is a sport that is often decided by the finest of margin and many times, we will see a match where there are barely a handful of points that separate the two players. However, some points are clearly more important than others and break points are some of the most important points of all. I thought it would be interesting to look in more detail at how players deal with break points on their own serve and how they go about trying to save them. The data for this comes from the Match Charting Project at TennisAbstract. Now, while this is not a complete record of all matches for all players, for a growing number of players, there are enough matches charted to be able to start to look in more detail and begin to draw some conclusions. In total, there are 15,885 break points across 409 players and 2,475 matches, which is certainly enough of a sample to get going with. The table shows the change between a player's 1st serve percentage on a break point compared to a non-break point. We can see that David Goffin has the biggest difference, increasing his 1st serve percentage by 5.9% on a break point compared to a normal point, followed by Juan Martin Del Potro, John Isner, Thomaz Bellucci and Bernard Tomic rounding out the top 5. At the other end of the scale, we see Tomas Berdych at the bottom, with his first serve percentage dropping by 11.1% on break points. He is joined at the bottom by Viktor Troicki, Lleyton Hewitt, Fabio Fognini and Richard Gasquet. What is interesting to look at in conjunction with the first serve percentage is the change in those points actually won behind the first serve. Here, we see a few interesting differences. We can see that David Goffin, despite hitting significantly more first serves on break point, actually wins far fewer points behind that first serve. Based on this, one might conclude that he looks to take a bit off his first serve and ensure that he gets the ball into the court and hopes that his superior ability in rallies will make up for the decrease in cheap points on serve. Indeed, we see that the percentage of aces and unreturned serves falls for Goffin, but so does the percentage of doubles faults that he serves. Basically, he goes for a very risk averse approach to serving on break point. At the other end of the scale, we can look at someone like Viktor Troicki. We see that his first serve percentage drops by 7.3%, but he actually significantly increases the percentage of those points that he actually win. It seems as though Troicki is willing to risk going for a big serve on break point at the expense of missing a few and we do see that his ace and unreturned serve percentage does indeed increase on break points by 1.5%. While we hypothesised earlier that David Goffin was very risk adverse when it came to getting the ball in-play, we can see that he balances this out with a slightly more dominant strategy once he is in a rally. The percentage of points won by Goffin hitting a winner or forcing an error increases by 6.3% on a break point compared to a normal point, suggesting that he looks to dominate the rallies slightly more and look to decide the point himself. We also see Lleyton Hewitt, who appeared to look to go for a bit more on his first serve, presumably with the confidence that he would fancy himself in a rally if necessary on his second serve. We can see that Hewitt really boosts his percentage of winners on break point, suggesting that he prefers to decide break points himself, rather than rely on his opponent. 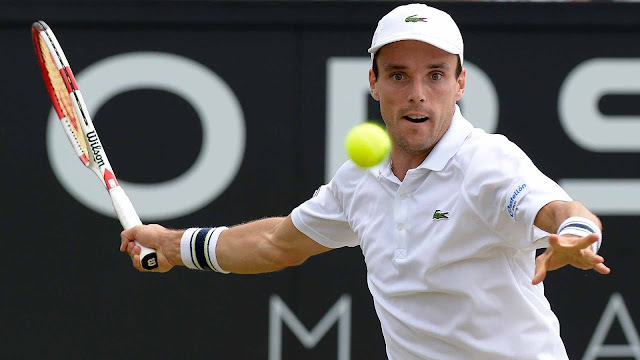 At the other end of the scale, we see Roberto Bautista-Agut and Gilles Simon, who appear to prefer to simply get the ball into play and wait for the error from their opponent, rather than risk going for the big shot themselves. However, it appears that the two players have very different success rates here. Gilles Simon sees a big increase in the percentage of points won via opponent unforced error, while Roberto Bautista-Agut actually sees a decrease. One wonders then whether Bautista-Agut takes this risk averse strategy too far and actually makes it easier for his opponent to hit plenty of winners on the big points, rather than giving them time to make mistakes. We also see Roger Federer and Novak Djokovic at the bottom here - it appears that they both fancy themselves to outlast most players in a rally situation and are happy to cut down on any mistakes that they might make in exchange for waiting for their opponent to crack. It is interesting to see that John Isner topping the list here. Isner actually increases his points won by aces and unreturned serves by 5.8%, but we also see here that he is able to reduce the percentage of points that he loses via unforced errors as well. It seems as though he goes big on the first serve to try and win the point early, but if that does not succeed, then he is happy to go more risk averse and make sure that he does not throw the point away himself with an unforced error. The presence of David Goffin toward the bottom backs up our earlier theory that he plays conservative on the serve to ensure that he gets into a rally, then plays far more aggressive during the rally itself, increasing both his percentage of winners and unforced errors, which could easily increase as a result of looking to hit bigger shots. 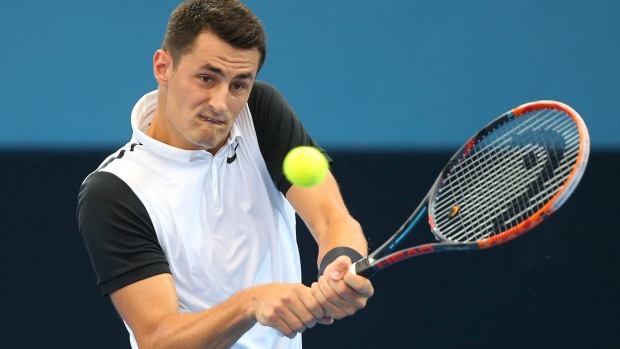 One name that it is worth noting is Bernard Tomic. He appears near the top of all three tables - he hits more first serves, wins more of those first serve points, hits far more winners and hits fewer unforced errors on break points. That is a remarkable combination of statistics for a player that is not exactly renowned for his mental strength. Perhaps the pressure of break points concentrates his mind more? On the flip side, Roberto Bautista-Agut does not come out of this looking great. He hits slightly more first serves, but a 10.2% decrease in first serve points won suggest that he takes a lot off the first serve. He hits fewer winners himself, but allies that with a big increase in unforced errors and also loses more points to opponent winners. It seems as though he simply plays far too passively and allows his opponent too many chances to hit winners and force the error. Going forward, there are two areas that I intend to look at. Firstly, it would be interesting to look at serve placement in association with the first serve stats that we have seen already. One would imagine that those players that hit more first serves would hit more into the middle of the box as safer serves, but it would be interesting to see. The other thing is to look at how a player's risk profile translates to when they create break points on their opponent's serve. Do the risk averse players on their own serve also play conservatively on their own break point chances or are there difference?